Pijin BMX: Late - Profile hub colours. 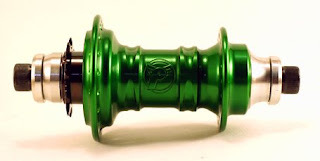 Yet another "totally forgot about this" news item: Profile are now rocking Forest Green hubs. Mmm.